New York City is one of the top tourist destinations in the world, and it known for its fast and busy life. But little is known about it as an exquisite romantic destination. The city that never sleeps has a magical aura with its glittering lights and stunning views. The romance of the city can be felt in all the icons of the city, whether it be the Empire State building or the Brooklyn Botanical Garden. Watching the sunset over the Hudson River or taking a carriage ride in the Central Park, New York offers a plethora of opportunities to live the perfect romantic moments. Howard Johnson is a boutique styled hotel with the perfect location to explore the many spots of New York City. Couples will especially love the hotel’s proximity to the majestic Brooklyn Bridge which is one of the most romantic spots in the city. 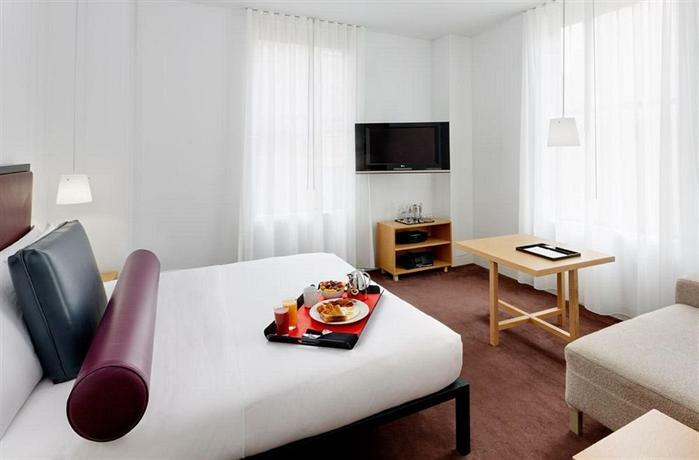 The hotel is also close to the major shopping and dining destination of the city, the famous Soho. The various fine dine restaurants in Soho are some of the best places in New York to enjoy a special evening with your better half. With friendly staff and a concierge always ready to help you plan your day, Howard Johnson ensures that their guests make the most of their trip to the city. The rooms are designed in a contemporary manner and have beautiful views of the city. The cosy and luxurious rooms provide an intimate ambience that is perfect for a romantic getaway. 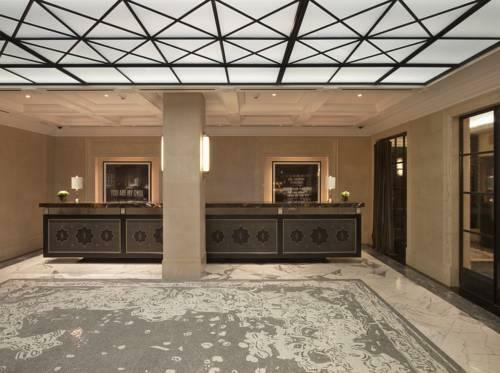 This hotel offers a luxurious experience in the heart of New York, in Midtown. With the central park, Fifth avenue centre, historic museums and Broadway all at walking distances from the hotel, this hotel offers the best of New York romance in its vicinity. The apartment styled rooms and suites are elegantly designed for a quiet and relaxing ambience. The hotel also offers the Spa and Wellness services at the Peninsula Spa, which include a variety of treatments and massages. A sun terrace with panoramic views completes the wholesome relaxing experience of the spa. The dining options in the hotel are some of the best in New York City. The Clement Restaurant offers a classic American fare. The Bar at Clement with its chic and intimate setting is great for a romantic rendezvous. But, it is the Gotham Lounge with its special Afternoon tea and the rooftop bar Salon de Ning with its panoramic views of the Manhattan skyline which offer the perfect ambience to celebrate a special and romantic occasion. 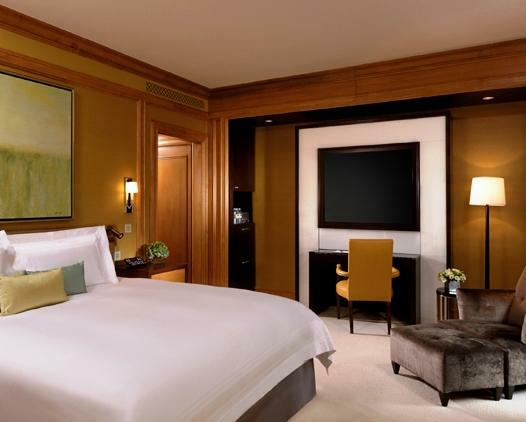 Indulge yourself in a lavish stay at the Langham Place Hotel located at Fifth Avenue. The fantastic location of the hotel in midtown Manhattan means that the famous romantic spots such as the Times Square and the Grand central station are only a few minutes’ walk away. Known for its modern style and personalized services, the hotel strives to ensure that each of their guests have a very memorable stay. The sophisticated rooms with the plush furnishings and striking views create an enchanting ambience that New York is famous for. The hotel’s spa, The Chuan Body + Soul is a place to relax and rejuvenate, with signature Chinese massages and beauty treatments. The place with its natural shaded interiors provides a calming haven right in the middle of the city. Langham Place also offers sophisticated and dreamy dining experiences, whether it is Ai Fiori with its Mediterranean cuisine or the Bar Fiori where you can enjoy a range of cocktails in the posh ambience. St Regis Hotel enchants you with its beauty as soon as you enter the hotel. With a century old historical heritage, the hotel provides a luxurious and stylish accommodation in a prime location of New York City. The hotel has been designed to reflect its rich history. The spacious rooms with their plush furnishings and mood lightings create an intimate ambience. The hotel is perfect for those looking to celebrate a special occasion such as a wedding anniversary. The excellent support staff goes the extra mile to ensure that the celebrations are made even better, by offering complimentary champagne or wines and exclusive desserts. Dining at St Regis can be a special romantic moment by itself. The Astor court with its comfortable and stylish ambience is a great place for a cosy and intimate evening tea. This boutique hotel on the Upper East Side offers a classic and timeless experience in New York City. It was originally built in 1926 as a residence hotel; and it has been home to many famous celebrities of the country. The sophisticated hotel offers a great romantic retreat right in the iconic neighbourhood of New York. The presence of world class museums, galleries, and the central park a block away make The Surrey one of the best places to stay if you wish to explore the best that New York has to offer. The hotel with its personalized service makes your celebrations even more special by their thoughtful touches. The private dining rooms at Café Boulud at The Surrey are ideal for a romantic and intimate evening. The hotel also has a Spa with a warm and silent atmosphere where the guests can relax and enjoy the various treatments and massages on offer. 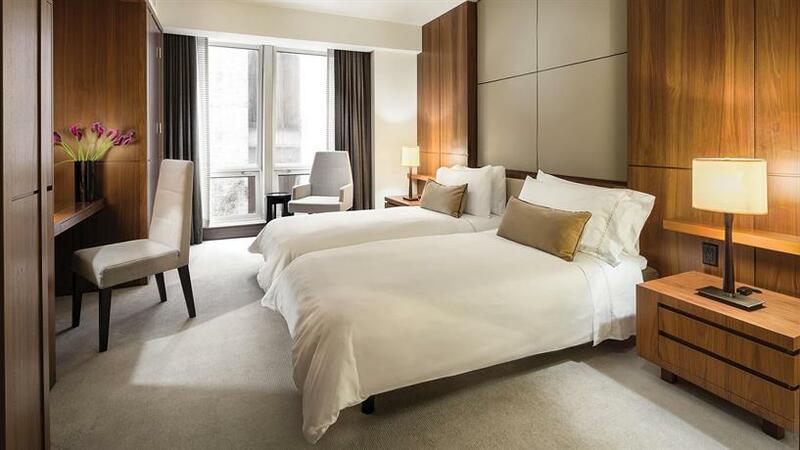 This plush and stylish hotel is located in lower Manhattan, just a few minutes’ away from the Washington Square Park. 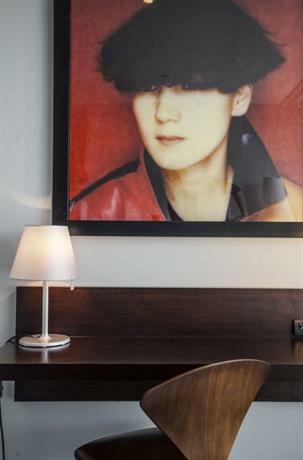 The hotel is inspired by the history of the neighbourhood and has created cosy and dramatic interiors. The mesmerizing views of the New York City skyline from the rooms give a superb and elegant ambience to the room. 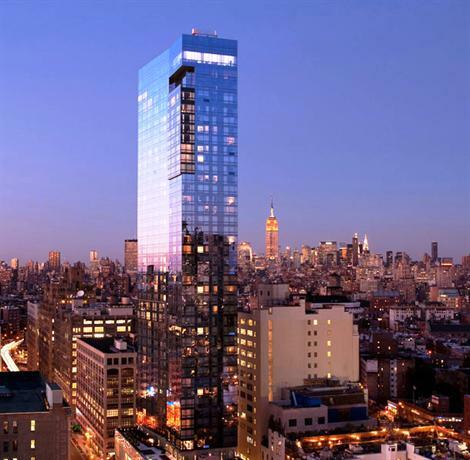 Trump Soho is an ideal place to stay with a special someone on a romantic holiday. The rooftop pool besides having magnificent views also has a seasonal indoor-outdoor pool bar. Having the choicest cocktails besides the pool with a dazzling view of the glamorous city is an experience that should not be missed. For relaxation, The Spa at Trump is the ideal place to go. Indoor and outdoor relaxation lounges are present, as are Private Spa Suites which allow you to enjoy the luxurious massages and treatments in privacy. Featuring Manhattan’s only private park, the Gramercy Park hotel combines modernity with history to bring together a classic luxurious living experience. The hotel is committed to giving its guests exceptional experiences. It is an oasis of luxury in the city and gives the royal treatment to all its guests. 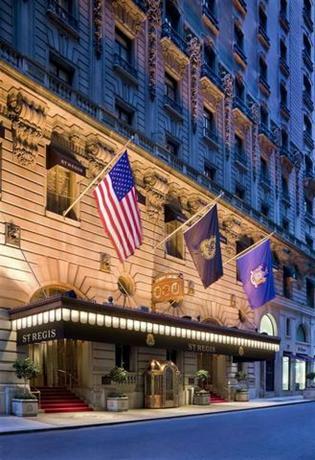 The hotel is in a charming and quiet locale which is just steps away from the Union Square and the Madison Square Park. The attentive staff pays attention to even the smallest details and is sure to remember your preferences the next time you visit. The hotel offers many special services which will make your romantic holiday extraordinary. Celebrate your special days with Gramercy Park hotel where they will create the perfect ambience for a romantic evening and stay. The hotel is also perfect for short romantic retreats where you can experience utmost rest and relaxation. Thoughtful touches are added to these services such as champagnes and roses to make your celebrations unforgettable. 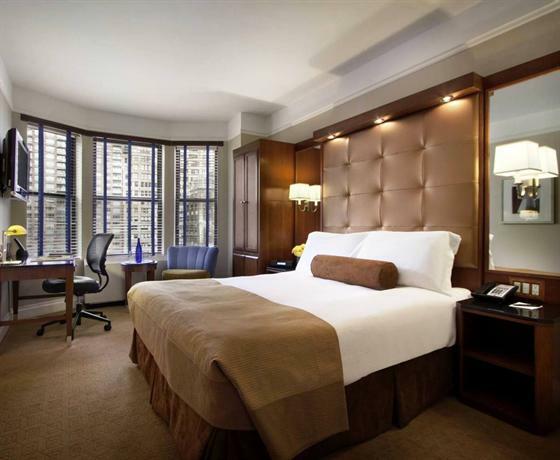 With views of the Central Park, the hotel offers a sophisticated stay in one of the most upscale areas of New York. The hotel captures the old charm of New York in its great services and interiors. The rooms with their plush interiors and hardwood floors are well maintained and offer a relaxing and cosy atmosphere. The personal touches by the staff make for an enjoyable stay. This charming hotel with a vintage touch is a wonderful place to spend a romantic holiday. The restaurant at the Carlyle offers an unmatchable dining experience. The varied menu and impeccable service along with an intimate atmosphere makes it a great place for a romantic night out. The Bemelman’s Bar has just as vibrant an atmosphere with a jazz pianist present in the evenings. The Bar attracts some of the most interesting people of New York, and along with great music it makes for a fun place to spend an evening with your loved one. 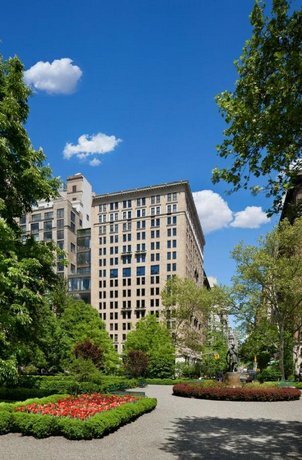 The Bryant Park is a designer luxury hotel which is perfect for those seeking romance and magic. The hotel faces the beautiful Bryant Park, and is walking distance to museums and shopping places on the 5th Avenue. Times Square is also a few minutes’ walk away. The beautiful and cosy rooms in the hotel offer unobstructed views of the park. The enchanting Christmas market along with the ice skating rinks can be seen during the colder months. With hardwood floors and simple white walls, the rooms have a quiet and a relaxing quality to them. The helpful staff can be consulted to plan the perfect romantic day in New York City. The hotel makes special arrangements for those celebrating a special occasion such as a wedding anniversary. Personalized service of the staff will ensure that your romantic getaway will become a special moment to be cherished. 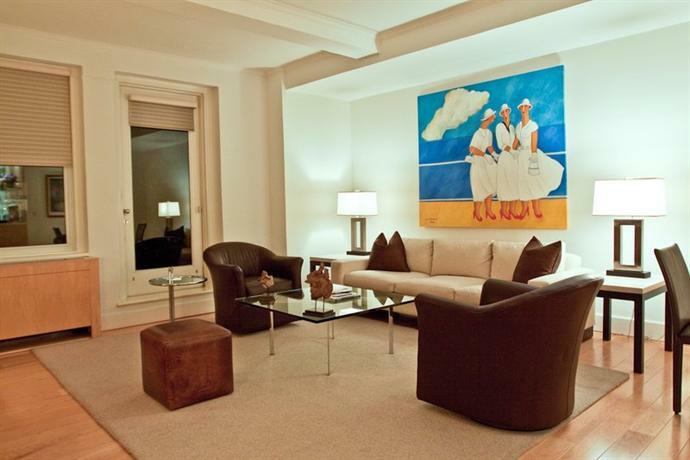 The Lombardy offers elegant spacious apartment style stays in Manhattan. The hotel has quiet intimate suites that are ideal for longer stays. Staying at The Lombardy feels like owning your very own Manhattan apartment with the rich and the famous. The Lombardy offers the experience of a home away from home, and is a wonderful place to stay for a relaxing and luxurious romantic vacation. The location of the hotel is ideal if you wish to relax yet remain well connected to the many attractions of the city. Proximity to the stylish East Side gives easy access to the many romantic restaurants, cafes and bars which are perfect to celebrate any special occasion. The Nico’s Salon offers a selection of luxury spa treatments which you can indulge in while you enjoy your romantic retreat. A rich and fascinating history forms the background about the formation of Hotel Chandler. Constructed more than 100 years ago, the historic hotel hosted many famous guests in its early days. The hotel was then later renovated to bring the historic building into the 21st century. The hotel retains its vintage and elegant touch, providing a truly modern experience in a historical setting. With its ancient charm, Hotel Chandler is a very romantic place to stay. One of the best features of the hotel is its location. 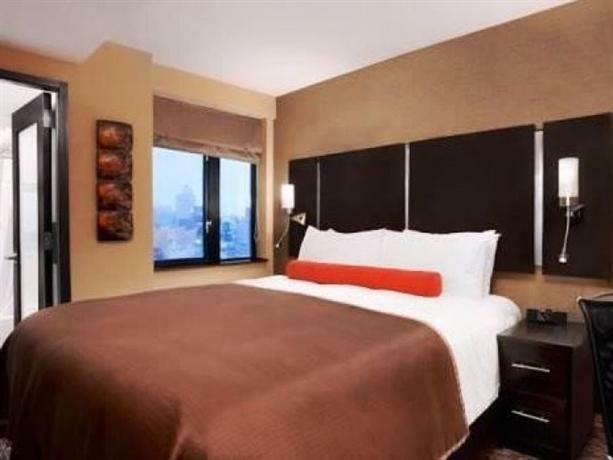 Located near the Empire State building in midtown, the hotel is located at a perfect distance from the major attractions. It is far enough to avoid the hustle and bustle, but close enough to easily visit them. The hotel offers a quiet and intimate ambience and makes the romantic breaks relaxing and joyful. 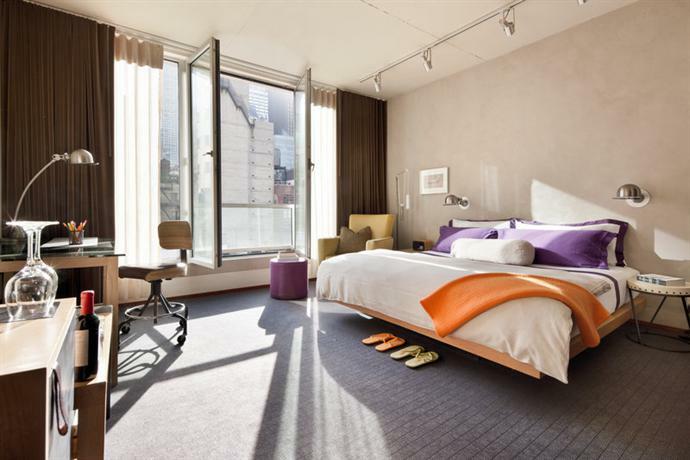 The chic and artistic hotel is one of the best located hotels in New York. 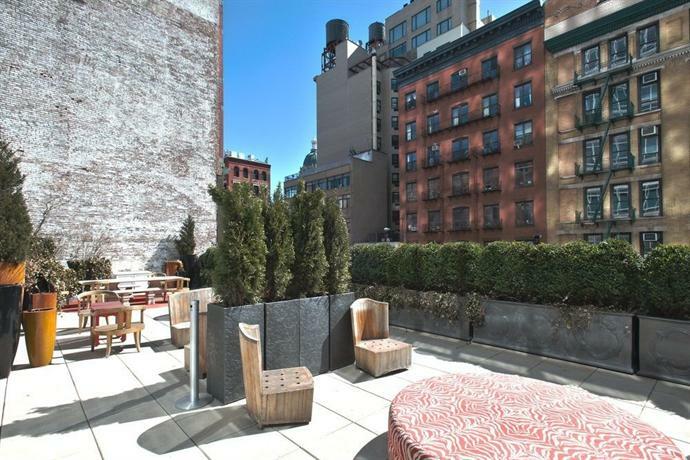 Located right in the middle of Soho, NoMo is the perfect place to stay to explore New York City’s iconic landmarks. You can have your perfect romantic moment while looking at the glittering lights from the Manhattan or the Brooklyn bridges, both of which are located close to the hotel. The hotel has a distinctive romantic vibe to it, with relaxing music and rosewood fragrance greeting you as soon as you enter the hotel. This small boutique hotel with its lightly coloured rooms and the floor to ceiling windows is one of the best places for a romance filled holiday. The balconies present in the suites offer breath-taking views which are unmatchable. The Nomo Kitchen with its funky décor and the rustic American menu offers delectable fare and is especially popular for its breakfast. Chambers hotel offers a relaxing haven in the concrete jungle that is Manhattan. 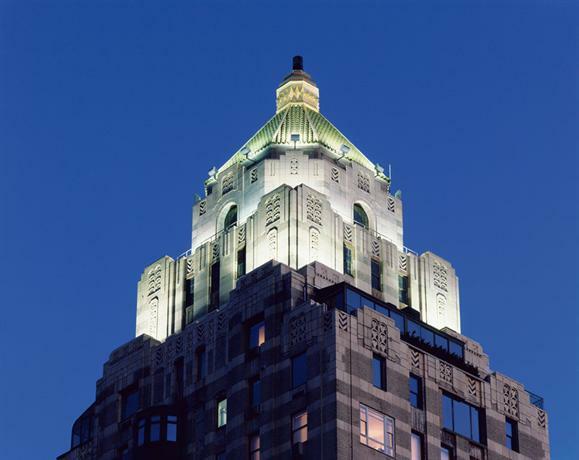 The hotel is popular due to its phenomenal location near Central park and 5th Avenue. Chambers Hotel has a different chic vibe that makes it very appealing to those looking for something unique while on their visit to New York. The Chambers hotel is perfect to spend a romantic and relaxing weekend with the special someone in the middle of the greatest city in the world. The hotel provides a luxurious experience with its lavishly furnished rooms in soothing colours. The rooms create a romantic and relaxing environment, which is accentuated with the stunning views of the city seen through the floor to ceiling windows. The exceptionally courteous behaviour of the staff is what makes the hotel different from others. Their attention to detail will ensure that a romantic holiday spent in Chambers Hotel is perfect and flawless. 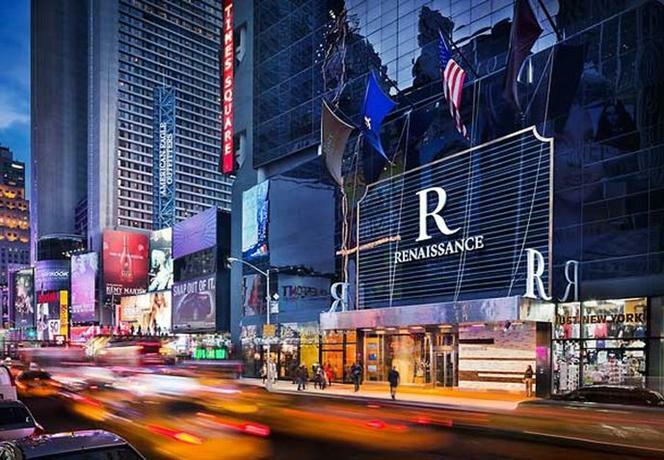 A stay at Renaissance Hotel gives you the best of both worlds. Located right in the middle of the Times Square, the hotel gives you a chance to experience the spirit of New York and get dazzled by the Times Square, while having a retreat to get refreshed and energized. The rooms at this hotel are equipped with soundproofed windows and have plush furnishings which make for a very relaxing atmosphere. Some rooms have an attached terrace with a mesmerizing view of the Times Square. The attraction of Times Square and the quiet relaxing ambience makes this hotel a very popular destination for romantic getaways. The R Lounge, the hotel’s signature bar allows you to take in amazing views of the Times Square while enjoying the unique cocktails on offer. You can also enjoy breakfast with the view of the Times Square which is an unbeatable experience. Hotel on Rivington is a sleek and luxurious hotel located in the historic Lower East side of Manhattan. The hotel offers spacious yet cosy accommodations, and most of them have stunning views of the skyline which are enjoyed through the floor to ceiling windows. The romantic atmosphere of the hotel is enhanced by the balconies present in the rooms, where the guests can enjoy a drink or two while appreciating the beautiful and unobstructed city views. The rooms with their hardwood floors and plush furnishings create a modern and supremely comfortable stay. The hotel offers complimentary coffee and wine every day to all its guests. Guests can enjoy delicious Mediterranean cuisine in Café Medi, which with its fun ambience creates a very relaxing atmosphere. The hotel also offers special services to guests who are on a romantic holiday or are celebrating a special occasion, to make their visit memorable.